Warriors at Ease is uniquely designed to accommodate service members who may suffer from PTSD and other mental and physical concerns. Rolly Alvarado, a 34-year-old Marine combat veteran, served two tours of duty in Iraq. When he returned to civilian life after seven years of service, the trauma of his combat experiences followed him. Nearly one in five service members returning from Iraq or Afghanistan have post-traumatic stress disorder or depression, according to the federal Substance Abuse and Mental Health Services Administration. And although half of returning service members who need treatment for mental health conditions seek it, SAMHSA reports that only half of those who receive treatment get adequate care. Cyndi Lee, a veteran from Waipahu, stretches her shoulders during a Warriors at Ease yoga class designed specifically for current and former military service members at Bella Kai Yoga Studio in Kailua. For Alvarado, the key to healing came in the form of a yoga class. On the mat, surrounded by other veterans, he learned how to cultivate peace and clarity by focusing on his breath. Marketed by American gyms as a fitness class, yoga offers its practitioners much more than a workout. It’s an ancient science linking controlled breathing with movement. The primary work of the yoga student is to curate inner peace by quieting the restless mind. Embraced by prisons, schools and businesses as a wellness tool to increase productivity and relieve stress, yoga is gradually being welcomed by military leaders. Military hospitals and clinics now increasingly refer patients to yoga classes as a form of treatment for health issues ranging from chronic pain to PTSD. In 2011, the Defense and Veterans Affairs departments funded a series of clinical trials that verified the utility of yoga as therapy for combat-related health conditions. 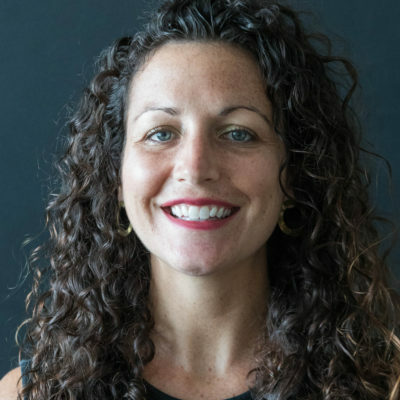 Born on the heels of that research, the national nonprofit Warriors at Ease formed to offer free yoga and meditation instruction to current and former military service members and their families. Cyndi Lee, right, gets some encouragement from Warriors at Ease executive director Susan Alden during a yoga class created to help the military community cope with combat-induced health conditions, including anxiety, depression and PTSD. Informed by military culture and sensitive to the triggers of combat-related trauma, the program’s teaching curriculum is tailored to the needs of veterans and service members. Alden said instrumental music with no lyrics is better, and they make sure everyone can sit where they can see the door. “Somebody who has severe PTSD will not be comfortable with their back to the door,” she said. On Oahu, Warriors at Ease offers yoga teacher training programs and free classes on military bases and at veterans centers and private studios. The organization also advocates for the integration of funded yoga and meditation programs in the VA and the DOD health system. Currently there are a few of these programs funded nationwide — but none in Hawaii. Alden said she is working with Tripler Army Medical Center to initiate funding for a regular yoga class at the hospital’s inpatient PTSD unit. At Bella Kai Yoga studio in Kailua, Warriors at Ease has partnered with a pair of neuro-acupuncturists to offer free, community-style acupuncture treatment to veterans and service members. The studio is owned by a Navy helicopter pilot. Cyndi Lee, a marine veteran and amputee from Waipahu, said the yoga-acupuncture offering has boosted her entire disposition, helping her attain a sense of calm and ease that had long been lost. Without a left leg, Lee relies on the aid of the instructor and props like a folding chair to practice yoga safely and maintain balance in standing poses. She said she wouldn’t feel comfortable attending another yoga class, where she might worry about the instructor’s ability to work around her physical limits. 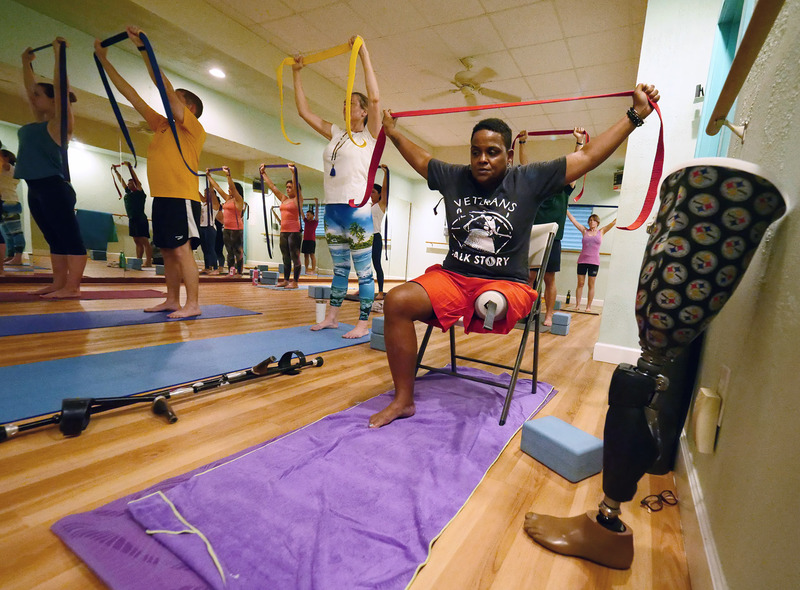 “None of us want to go see a psychiatrist, none of us want to go to a physical therapist, but coming to yoga covers all of that and in these classes you get to do it with other people in the military who understand you,” Lee said. 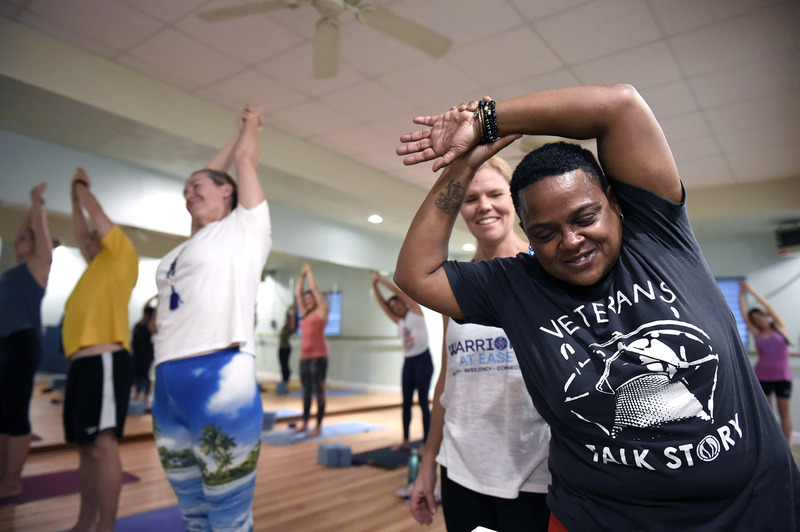 While plenty of people seek out Warriors at Ease to aid their mental health, the yoga classes attract service members and veterans for many other reasons. Alli Houseworth, who teaches yoga in a fitness center on Joint Base Pearl Harbor-Hickam, said students find her classes for reasons that range from a recovery from harsh workouts to the desire to heal a mild knee injury. In addition to offering teacher training programs and free yoga classes for the military community, Warriors at Ease advocates for the inclusion of yoga and mediation as therapy within the Defense and Veterans Affairs departments. At the U.S. Coast Guard Base in Honolulu, Taryn McLaughlin, a Navy veteran, instructs a weekly class focused on cultivating proper alignment. “These men and women spend a lot of time on little ships, hunched over, crawling through small port spaces,” she said. A Coast Guard officer realized it would be good for the crew to stretch and gain flexibility that would counter problems from the back-bending work “and now I’m teaching them weekly yoga,” she said. McLaughlin said she’s sure to let her students know that yoga offers healing powers that extend beyond the physical. But she doesn’t push it on them.